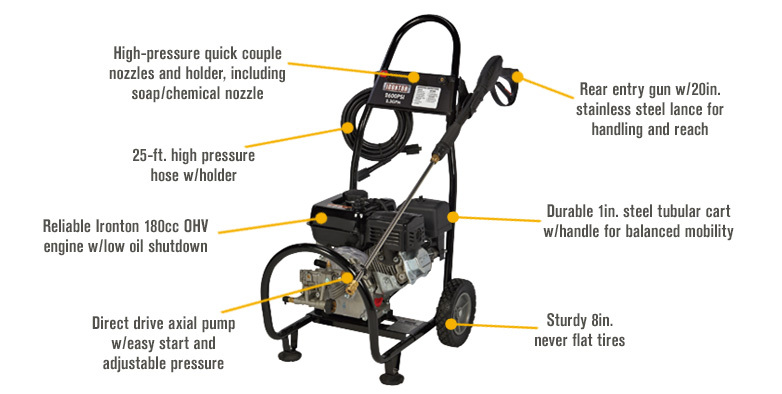 This Ironton® Gas Cold Water Pressure Washer is an all-around cleaner that is ideal for cleaning decks, driveways, siding, lawn mowers and more. The durable 1in. steel tube frame offers durability and 8in. never-flat tires provide easy mobility. Plus, this rugged pressure washer includes the accessories you need to start cleaning right away — stainless steel lance with 1/4in. 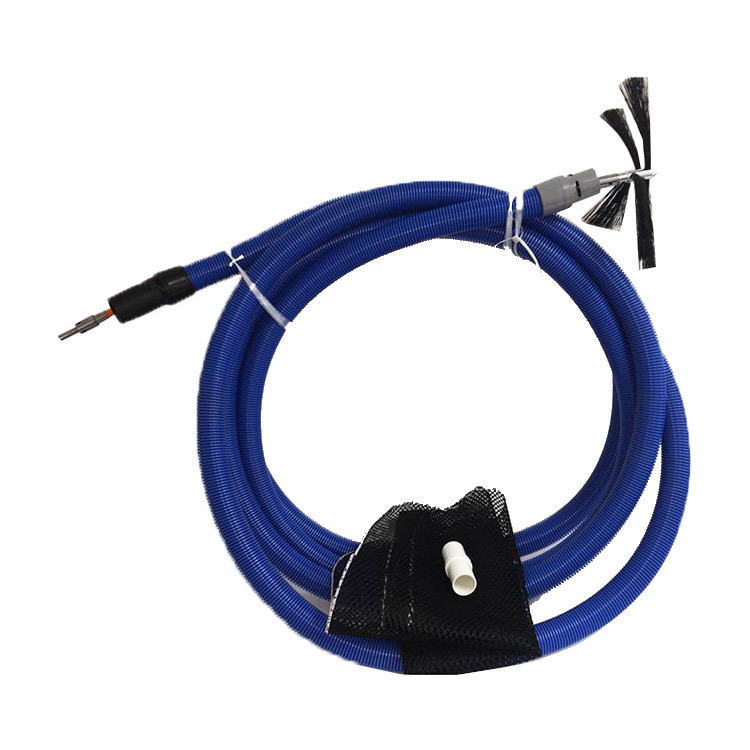 quick-connect fitting, 25-ft. 1/4in. braided high-pressure hose and two quick-connect nozzles (0° and 40°) and soap nozzle. 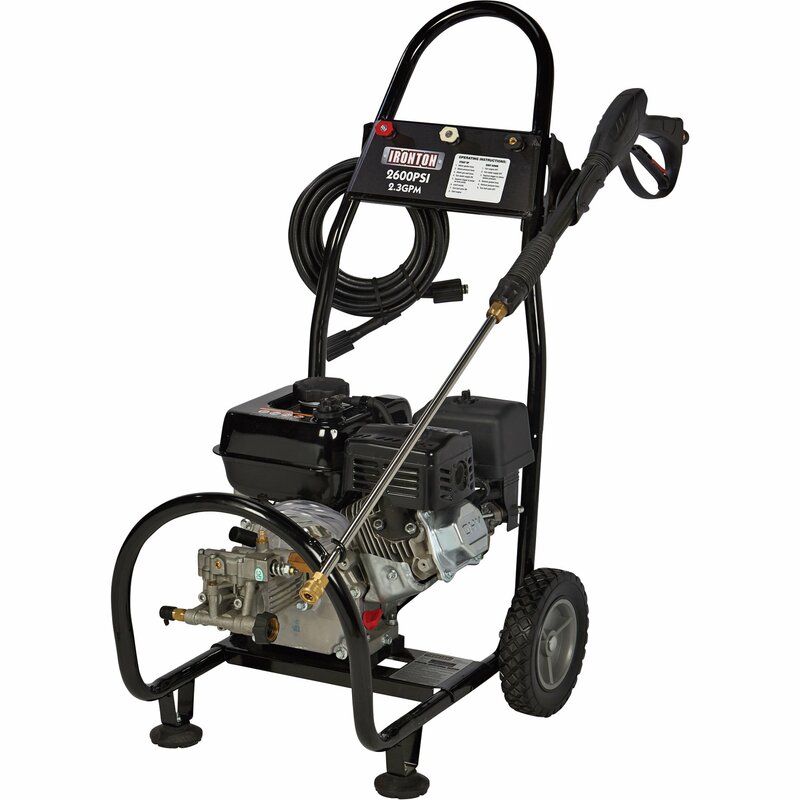 Steambrite's Gasoline Cold Pressure Washers - Ironton Gas Cold Water Pressure Washer - 2,600 PSI, 2.3 GPM - 87034 - 45810  is . 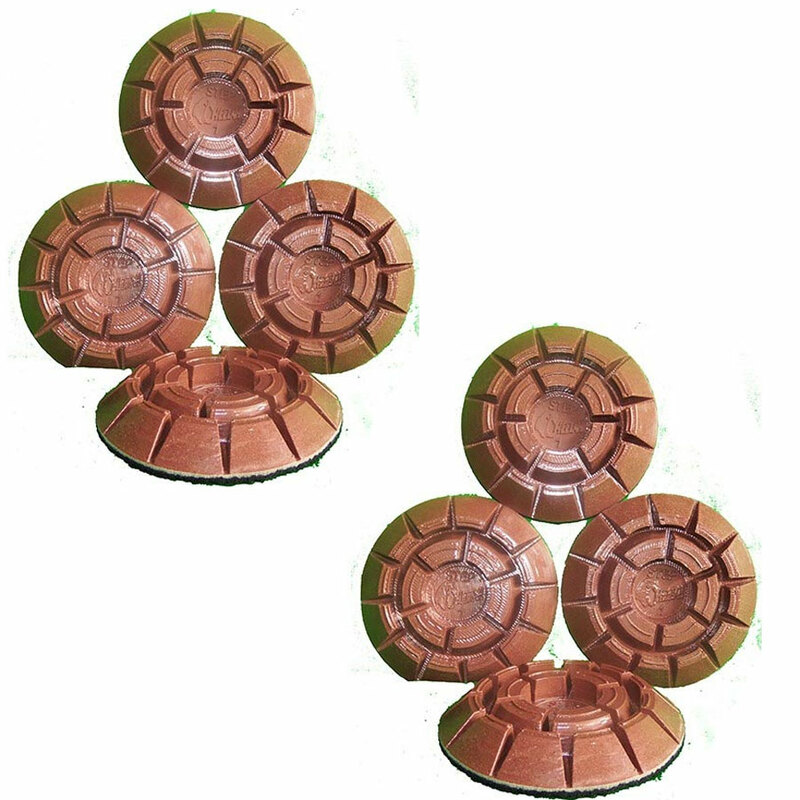 This product was added to our store on Tuesday 15 May, 2018. 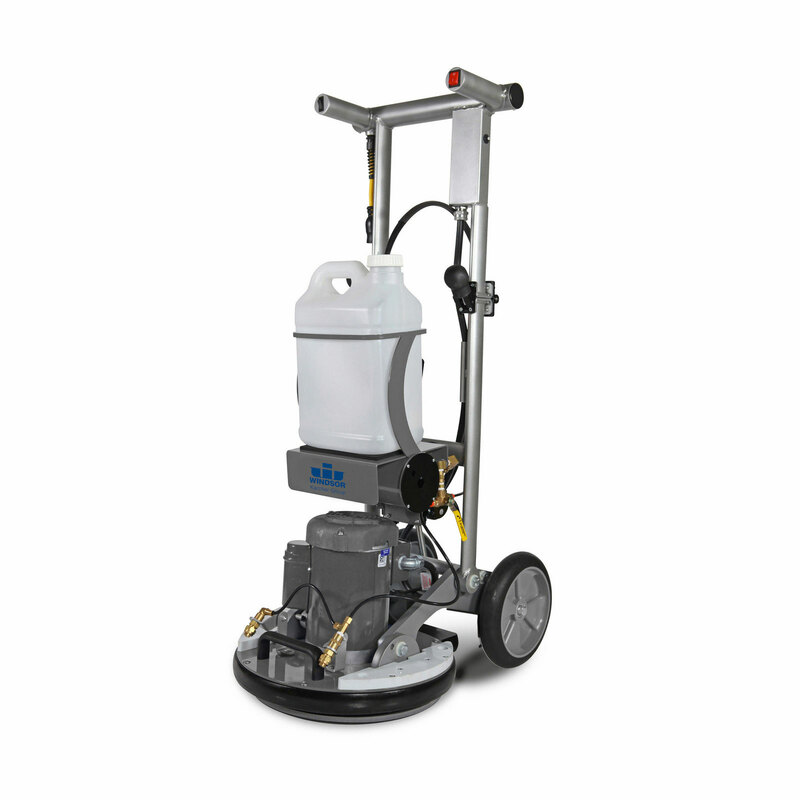 Steambrite will ship the Ironton Gas Cold Water Pressure Washer - 2,600 PSI, 2.3 GPM - 87034 - 45810  by either Fedex or Freight Quote, and are normally shipped within 1-10 working days. Please remember it takes 6-8 working days for you to receive your order after shipment, and ground shipping times are not guaranteed. Next day and two day service are available. Click here for our full shipping policy. Specifications subject to change without notice. 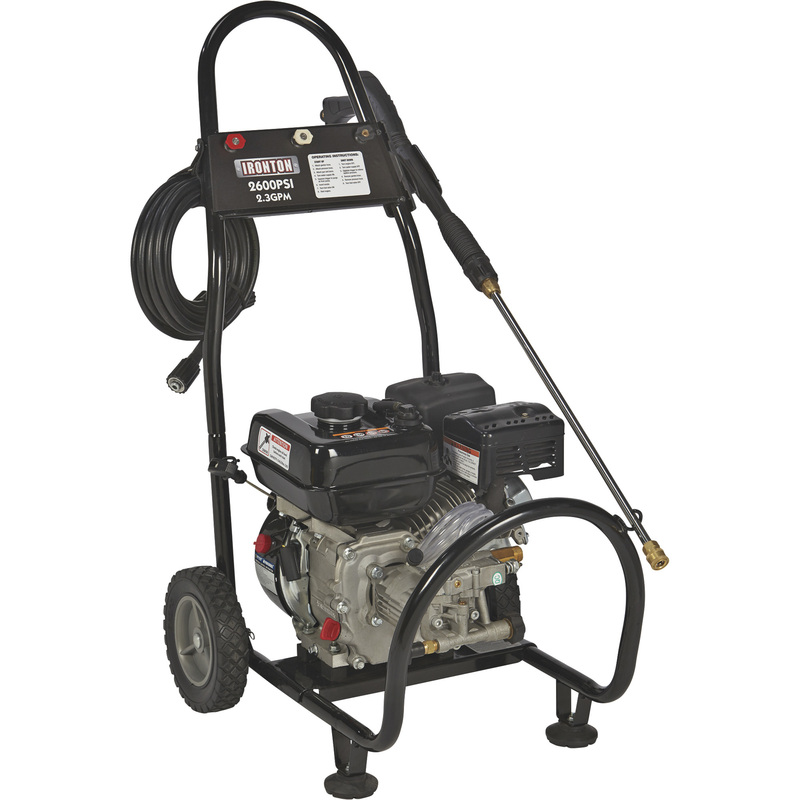 Steambrite's Gasoline Cold Pressure Washers - Ironton Gas Cold Water Pressure Washer - 2,600 PSI, 2.3 GPM - 87034 - 45810 .